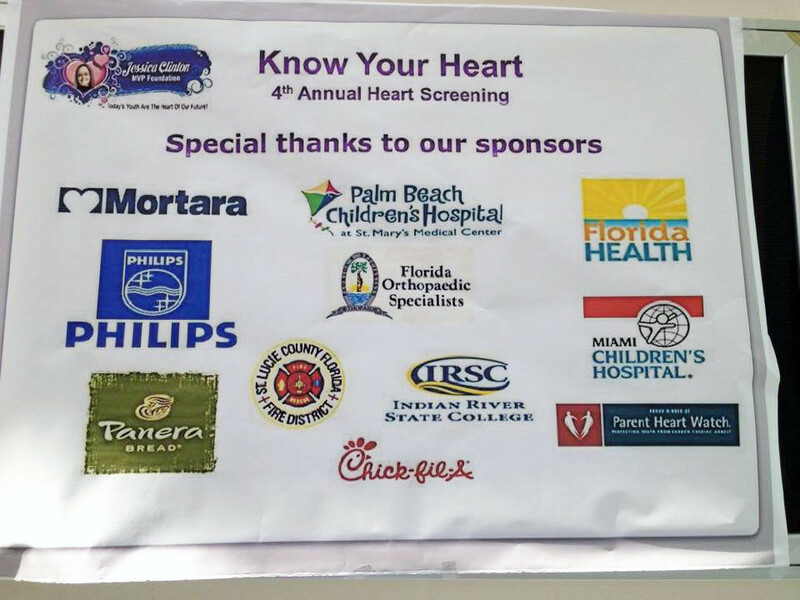 We will be hosting the 4th Annual Know Your Heart: Student Screening on Saturday, October 18th, 2014 from 8am to 5pm at the St. Lucie County Health Department (5150 NW Milner Drive, Port St. Lucie, FL 34983). Free heart screenings will be offered to students, ages 5 to 20. 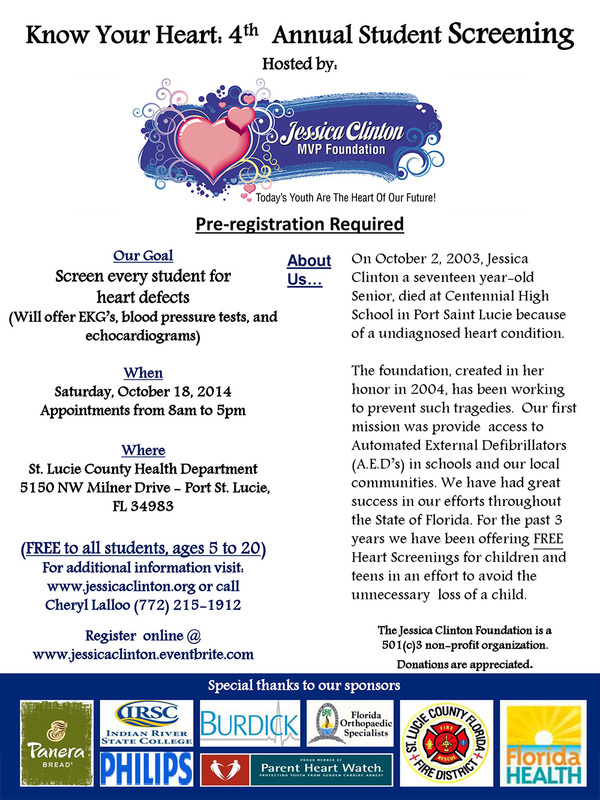 For the past 10 years the Jessica Clinton Foundation has been working hard to keep all children safe by donating AED’s into schools, parks and public places, passing state bills and hosting annual free heart screenings. A few months back a young local football player went into sudden cardiac arrest, but thankfully was saved by an AED that was donated by the foundation, knowing this we know our Jessica is looking down proud of our work we’ve done so far. This October, the 18th, we will be having our 4th annual free heart screening, and we need your help we are looking for more cardiologists and echo techs to help with the larger amount of kids being screened.